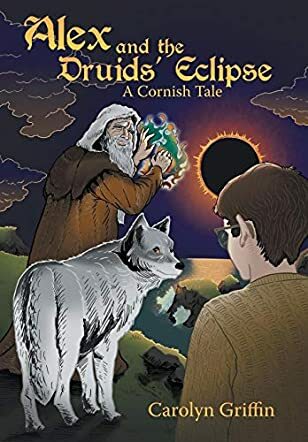 Alex and the Druids’ Eclipse: A Cornish Tale by Carolyn Griffin is a fascinating story set against the backdrop of Cornish Celtic roots where readers are introduced to ten-year-old Alex Pitts who lives in the village of Penmellyn. Alex is excited because he is going to watch the solar eclipse that day with his father, Jory. Alex is enraptured by the sight when the moon totally eclipses the sun. Jory notices that Alex is missing after watching the eclipse and he does not know what he is going to tell Stephanie, his wife and Alex’s mother. The story takes a different turn from here when Alex goes on a fantastical and adventurous journey while his neighbors, friends, and the villagers offer their help with searching for Alex. Readers will be glued to the book till the very end to know whether Alex reaches home after his adventures. Alex stumbles into an unfamiliar and dangerous place after witnessing the solar eclipse, a place in which he is sent to bring the cauldron of Bran back for King Arthur. All the characters are well sketched and they complement the plot beautifully. The wizard Merlin, the faeries, Blythe the wolf, and the dangerous journey are vividly sketched with some excellent narration and descriptions. Readers will be enchanted by the lore and magic. The author seamlessly and deftly knits the world of Alex’s parents into the mythical journey of Alex. For all those who love fantasy, intrigue, suspense, and adventure, this book is a must-read.